The Iris Intra-Oral Camera is a diagnostic dental tool that enables Gladstone Family Dental Group to identify potential problems when they can still be treated at the lowest cost. The Iris Intra-Oral Camera captures images of your gums, teeth and displays the close-up photos on the chairside computer display. 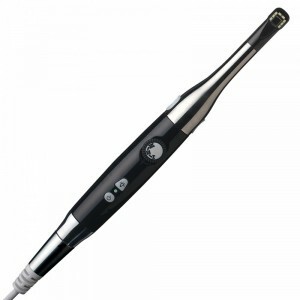 By using the Iris Intra-Oral Camera, Gladstone Family Dental Group saves you time and money. The digital images captured by the Iris Intra-Oral Camera allow us to discover areas with disease or cracks, so you can assess the problem and decide with Dr. Dale and Dr. Platt if treatment is needed. The accompanying software for the Iris Intra-Oral Camera also will provide Dr. Dale and Dr. Platt precise results so your best course of action can be selected by Dr. Dale and Dr. Platt.